Volunteer leadership at its finest! The Operating Board is charged with the governance and fidicuary responsibilities of the organization. Jonathan Denholtz is a former volunteer soccer coach and a longterm SCORES board member. He's spent the bulk of his professional career working at the intersection of digital media and education with numerous leadership and executive positions at a variety of private and nonprofit organizations, including CNN, Electronic Arts, Creative Wonders, Teachscape, and the California Academy of Sciences. Jonathan earned his BA from Wesleyan and holds an MBA from Stanford. 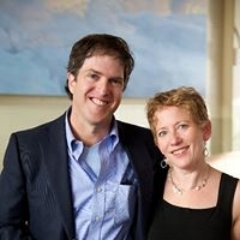 Sam Fort is a partner at DFJ, a technology-focused venture capital firm based in Silicon Valley. A lifelong soccer fan and player, Sam first found SCORES by participating in the annual SCORES Corporate Cup. He was immediately inspired by the SCORES's mission and visible impact. He joined the SCORES board in 2008. Sam brings expertise in identifying and scaling high-growth, high-potential organizations. Sam earned his BA from the University of Pennsylvania and holds an MBA from Stanford. Born in Mexico and raised in Brazil, Mark Talucci is chief executive officer and co-founder of The Sak Brand Group, the company behind the iconic handbag line, The Sak. He served as chair of the board of Bay Area SCORES for 15 year, bringing leadership, vision, energy, and generosity to the organization. Mark earned his BA in mechanical engineering at Lehigh University. Mark splits his time between New York City and Bolinas, CA with his wife and four young children. In his spare time, he keeps active by surfing, fishing, golfing and playing fantasy baseball with his kids. Dameon has been involved from with SCORES from coast to coast, first working with the Washington DC SCORES affiliate and now with Bay Area SCORES. An avid soccer fan (football to him) he brings decades worth of experience advising and providing financing to nonprofits. He is a passionate supporter of youth development programs and affordable housing. Dameon currently works at First Republic Bank and has been involved with SCORES since 2012. You can hear Dameon talk about America SCORES in an interview on KBLX at this link. Asif Makhani was born in Saudi Arabia and spent much of his childhood in Pakistan. His family moved to Toronto, Canada when he was a teenager for better educational opportunities. 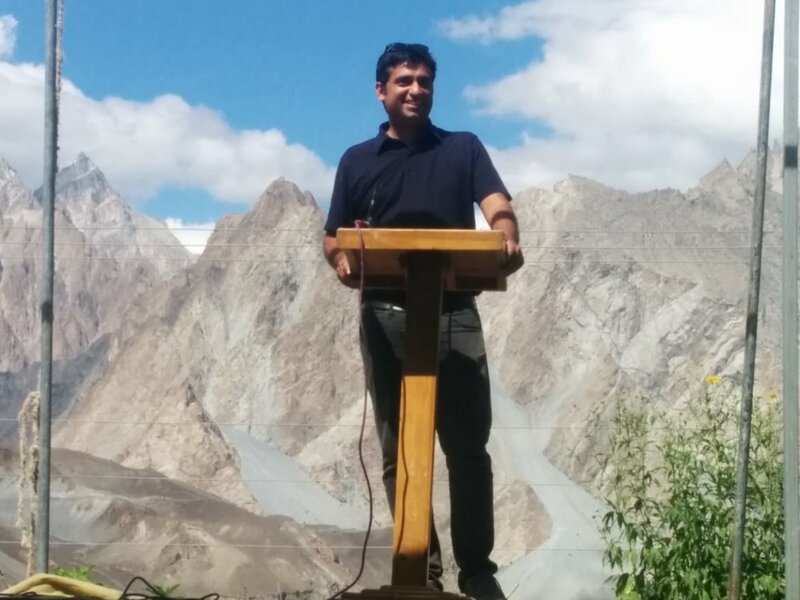 After university in Canada, Asif earned a graduate degree at Stanford. A passion for computing and engineering attracted Asif to Amazon in Seattle, where he worked for more than a decade. Later, at LinkedIn, he headed up engineering for the online educational platform, LinkedIn Learning. In 2018, Asif became the Director of Image Search at Google. His deep interest in youth development and service learning has been inspired in part by his religious faith as part of the Ismaili Muslim community. Asif has long been involved with Global Encounters, an international program bringing together Ismaili youth and young professionals to engage in cultural exchange, leadership development, and global citizenship through community service projects in Africa and Asia. Asif joined America SCORES Bay Area as a board member in 2018. As a data-oriented engineer, he’s eager to help SCORES thrive and scale. Dave Rosen first connected with America SCORES Bay Area in early 2013, taking a role on the advisory board. Three years later, he was invited to join the operational board. His path to SCORES was a deliberate one. On sabbatical from his marketing position at Electronic Arts and heading out on some sabbatical-fueled travel, Dave wanted to start contributing his time to an organization in the Bay Area. He did some online research, looking into the track records of local nonprofits, specifically ones helping kids at the intersection of education and athletics. “SCORES combined education and athletics plus service learning in such a cohesive way, it just jumped off the page for me,” Dave recalls. SCORES board member Karen Perkins has a long history with America SCORES Bay Area. Her son Selacie joined the program at Junipero Serra Elementary School in San Francisco when he was a second grader. Karen joined the board in 2012, becoming the first parent representative. For Karen, a single mother working full-time, SCORES was a critical factor in her son’s education. “SCORES gives children the confidence they need to believe in themselves, to know that they can do anything they set their minds to. With America SCORES, you learn it through small steps, and by the time you’re finished with the program, you have more confidence in yourself that you ever thought possible,” she says. As a parent, SCORES brought Karen joy, a thrill that her son was having fun on the field and learning to express himself fluently through poetry. The program also gave her a sense of security, “You know your child is going to be happy, safe, having fun, and learning at the same time.” At this writing, Selacie is now 18 and a senior at Archbishop Riordan High School. He’s aiming for UC Berkeley. Karen, when not lending her experience and wisdom to SCORES, works at H&R Block. Dr. Kenia visiting a Field of Dreams site in the Mission. Dr. Kenia is the Assistant Chief in the Department of Pediatrics at Kaiser Permanente in San Francisco. His specialty is pediatric sports medicine. Dr. Kenia adds professional expertise to the Board at a time when the demonstration of health-related outcomes is a key driver for the advancement of America SCORES programs. Prathima Nalluri grew up in the town of Visakhapatnam on the southeastern coast of India. She headed north near Delhi for college, studying engineering and economics, and then changed cultures and climates entirely, moving to the far chillier Buffalo, New York to attend graduate school, earning a master’s degree in finance. Another leap followed, with a move to San Francisco in 2010 for a job with BlackRock, where she works today as a Senior Risk Manager. Her interest in youth, education, and service bloomed in graduate school, where she took a side job tutoring higher need students through the university’s Center for Academic Development Services. “I realized I really liked teaching,” Prathima says. “Opportunity is everything. You become what you’re exposed to.” Prathima joined the America SCORES Bay Area board in 2018 and is particularly interested in the impact and creative possibilities of poetry as a means of expression. She’s also impressed by the sheer bravery SCORES students demonstrate standing up and reading their poems aloud. In her spare time, Prathima enjoys the artistic release of ceramics and painting.